Fish-tory comes to life in this sixth and final chapter book featuring our favorite (New York Times-bestselling!) zombie goldfish, Frankie! 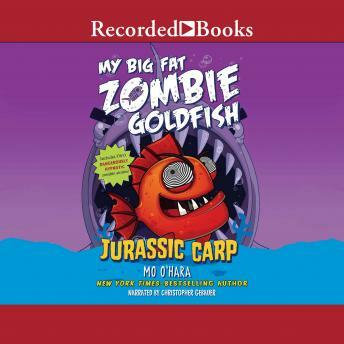 When Tom and his best friend rescued Frankie the goldfish from his evil-scientist big brother's toxic gunge, their new pet came back as a BIG FAT ZOMBIE GOLDFISH. Frankie is good at saving the day, but can he become a real knight in shining armor during the medieval day reenactment joust? Then, can the school survive two BIG FAT ZOMBIE GOLDFISH? Find out when Tom's evil big brother manages to clone a Jurassic Carp!